Yaupon hollies are known for their ability to thrive in areas with intense heat and dwarf yaupon holly ‘Nana’ is no exception. In spring, new foliage emerges as bright green then turns to a deep, rich green as plants mature. In winter, the glossy evergreen leaves offer ornamental interest plus create a wonderful backdrop to the stunning bright red berries that follow insignificant white flowers in fall. These berries are appreciated by a variety of birds through winter, making plants good for wildlife habitat plantings. Plant ‘Nana’ as a groundcover, edging shrub, rock garden feature or woodland garden plant. Because it will tolerate heavy pruning, it also works well as a topiary container plant. 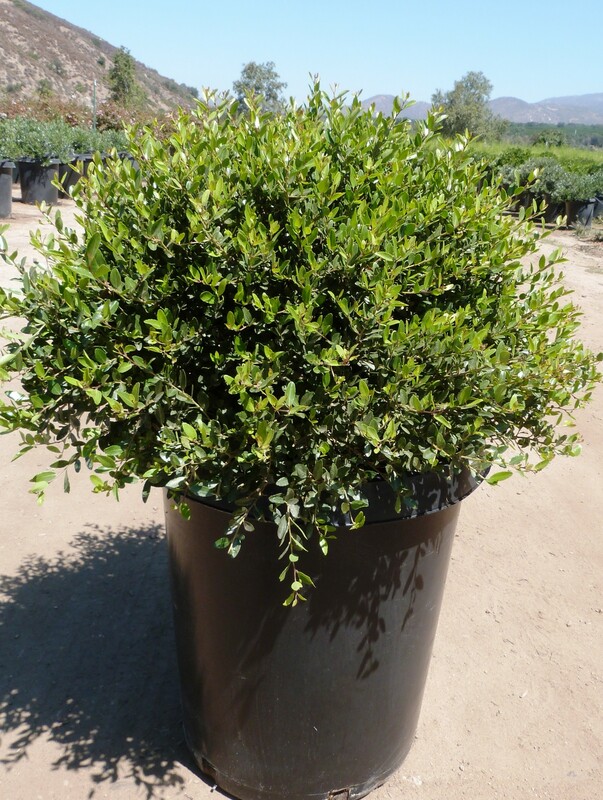 ‘Nana’ grows best full sun to part shade, as do all types of yaupon holly. While it is drought tolerant, ‘Nana’ prefers not to completely dry out between waterings. Yaupon hollies prefer acidic soil, rich in organic matter, however they can adapt to heavier clay soils. Plants also tolerate environmental salt so do consider ‘Nana’ for your next coastal project. Because of its year-round interest, bright berries and low maintenance, dwarf yaupon holly ‘Nana’ makes a popular choice for both residential and commercial projects.